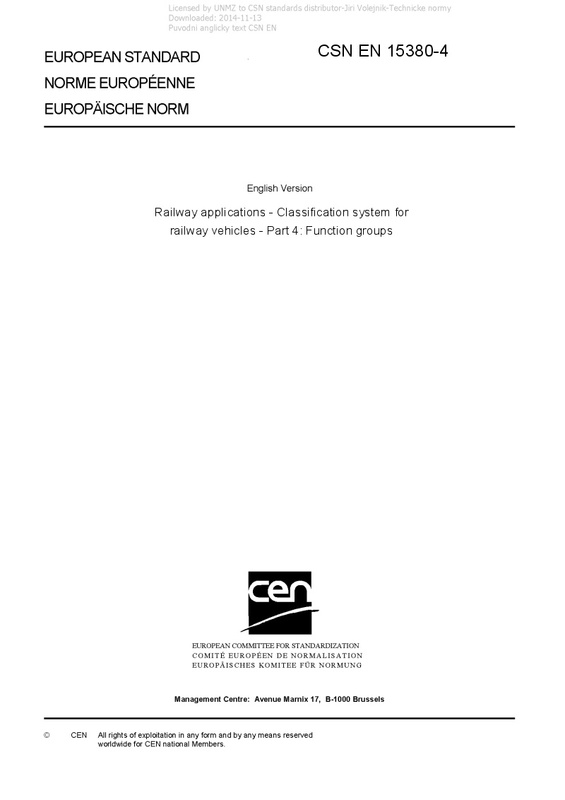 EN 15380-4 Railway applications - Classification system for railway vehicles - Part 4: Function groups - This European Standard is concerned with the functions associated with general railway vehicles or their assemblies. It covers functionality associated with systems and equipment such as wheelsets and bogies, doors, brakes and traction. This standard may also be applied to railway vehicles with very specific functions like track machines and snow ploughs. However, while the functions that are common with general railway vehicles are included, the functions which are specific to their work processes are not included in this standard. They will be added for these individual projects.